There have been a few instances where we have had clients who are on a tight schedule and decide to make a last minute dash to Victoria Falls for a single night. Granted, Victoria Falls is a small place (some have even described it as a village), but it's not the size of the boat that matters - so to speak. It is possible to enjoy Victoria Falls for a day, but more often than not, clients find themselves wishing they had made a bigger and better plan because there is so much on offer. If a client is going to spend one night in Victoria Falls, they will have very limited time already due to the time flights go in and out. Flights from Johannesburg arrive between noon and 1:30pm. By the time the transfer vehicles actually get to Vic Falls town and drop at the hotel, it could be 2:30/3pm. Domestic flights and those from Maun arrive a bit earlier. Departures from Victoria Falls to Johannesburg start from about 12:30pm and transfer vehicles pick up two hours before. Livingstone flights work pretty much the same way, so no shortcuts there. 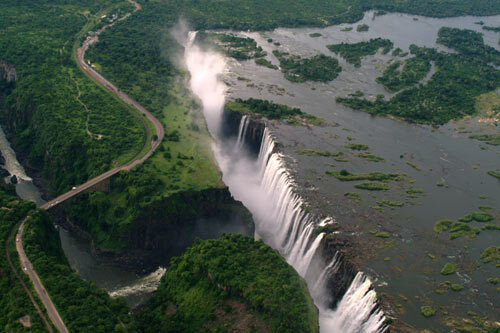 In reality, the time that one can enjoy Vic Falls is from 3pm til about 10am the next day. Spending only one night in Vic Falls might also limit your choice in places to stay while you are here. Opting for the safari lodges located at least 10 kilometres out of the town centre means that you spend more time on the road that you can afford, and one cannot fully enjoy the inclusive activities that are usually offered. 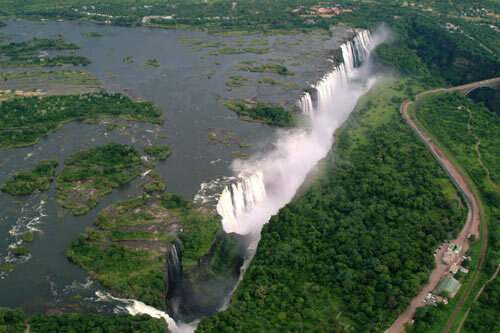 Victoria Falls accommodation within the town is what we recommend in this type of situation. What makes the time to enjoy Victoria Falls activities even less is that most of them are done during the day up to 5pm. The only activities that go on well after are the river cruises, night drive and bush dinner, and the Boma Experience. Exciting activities such as rafting take up almost the whole day. These cannot be done by clients who are only spending the night. The Victoria Falls themselves stretch for 1.7 kilometres (1.06 miles), and the rainforest's winding pathways and viewpoints make a complete tour of the falls a 2.5 hour activity at the least. In a day that is already short, seeing the falls takes up about a quarter of the time for activities that one will have if they visit for just a night. So what do you do if you have very limited time and want to pack in as much as you can? We highly recommend you do not cram your itinerary with too many activities and little space in between. As much as operators work their hardest and are professional when it comes to time, you most definitely will not be the only client for whichever activity you choose, and delays can happen. The last thing you want is to push your schedule to the point where you end up regretting your entire trip. The alternative is to reserve some time at a later date for a trip of a lifetime to Victoria Falls, which can be made even better by combining with other places such as Hwange, Kariba, Mana Pools, and/or Chobe. You can find some ideas here. Thank you. Your comment is awaiting moderation and will be published if approved.